Valentine’s Day means that we’ve made it to the half-way point of InCoWriMo 2018! Congratulations! We’re doing great – and if you’re a bit behind, no worries! See how easy it is to play a little catch-up below. 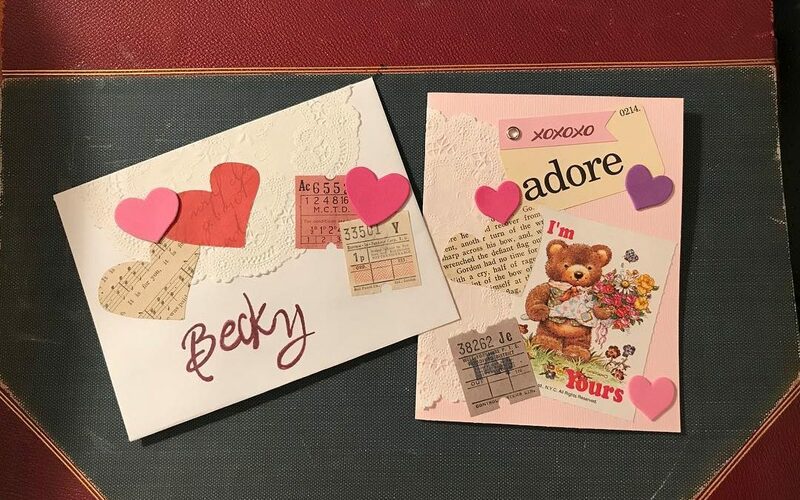 Today’s the perfect day to boost your correspondence count if needed – just hand-deliver a few short “Happy Valentine’s Day” notes. You’ll be back on track (or ahead of the game) and you’ll be spreading some good ol’ InCoLove! Today’s recipient nominee is a first time InCoWriMo participant and lives smack dab in the middle of the Pacific Ocean! Like many, she accidentally stumbled upon InCoWriMo and realized there are others like her who LOVE snail mail. Char is a list maker, snail mail enthusiast, and loves pens, cool coffee mugs, and lazy Sundays. Send Char some InCoLove today! It can be a letter, a card, a note or a postcard. Really, it can be anything that you consider correspondence. So even if you’ve yet to write anything, just grab the nearest piece of paper, the closest writing instrument, and write a quick little note to yourself. There! That’s one down. Need to catch up more? Repeat the process either by writing once again to yourself or to someone that you know you’ll see today. You’ll be completely caught-up in no time. Yes, participation in InCoWriMo is supposed to be fun – so be sure you’re not putting too much pressure on yourself. You can do this – and we’re glad you’re InCo’ing along with us! The InCoWriMo 2018 Address Exchange is up and running! If you’re interested in receiving mail from other InCoWriMo Participants, add your name, address (and perhaps a few words about yourself) to the exchange. Visit the exchange to either share your address or look for willing victims recipients – or both! Read today’s complete InCoNews Newsletter. See what the InCoWorld is posting to Instagram. Add yourself to the InCoWriMo Participant Map. Subscribe to the InCoNews Newsletter.